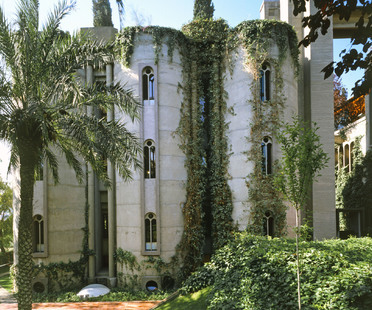 La Fàbrica is now Ricardo Bofill’s home and studio. In 1973 the Spanish architect found a big old cement factory and converted it to contain his studio, as well as exhibition spaces and halls for concerts and other cultural events. The surreal atmosphere of the place inspired Ricardo Bofillìs visionary architectural regeneration plan. The new hotel designed by Ricardo Bofill for the international Starwood Hotels&Resorts chain is part of a wider-ranging urban renewal project for the Barcelona waterfront. In a few years the Regional Centre for the Performing Arts will be completed in the eastern part of the Spanish city of Valladolid: the Science Museum and Regional Assembly Buildings have been completed so far.